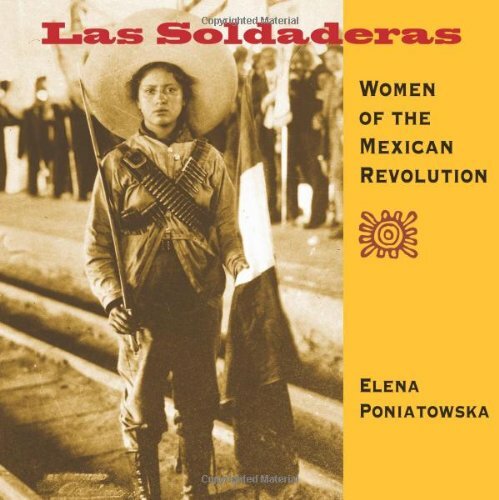 The photographs of Las Soldaderas and Elena Poniatowska’s remarkable commentary rescue the women of the Mexican Revolution from the dust and oblivion of history. These are the Adelitas and Valentinas celebrated in famous corridos mexicanos, but whose destiny was much more profound and tragic than the idealistic words of ballads. The photographs remind Poniatowska of the trail of women warriors that begins with the Spanish conquest and continues to Mexico’s violent revolution. These women are valiant, furious, loyal, maternal, and hardworking; they wear a mask that is part immaculate virgin, part mother and wife, and part savage warrior; and they are joined together in the cruel hymn of blood and death from which they built their own history of the Revolution. The photographs are culled from the vast Casasola Collection in the Fototeca Nacional of the National Institute of Anthropology and History in Pachuca, Hidalgo, Mexico.